¡Cumbre! 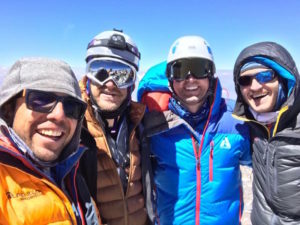 We had three Aconcagua Rapid Ascent expeditions this season, and each Rapid Ascent team had successful summits of Aconcagua (22,841′ / 6962m). 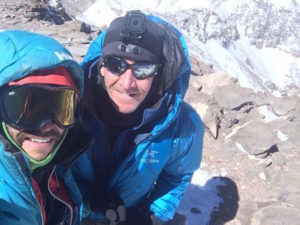 Cheers to strong teams and success, despite the challenging weather of South America’s tallest peak. Our Aconcagua Rapid Ascent expedition is just 14 days, including three travel days and three built in weather days. 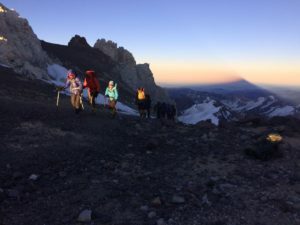 Rapid Ascent is a unique program developed by Alpenglow Expeditions that combines the relatively new application of hypoxic training with precise logistics and small team sizes to greatly increase the chances of success while reducing the overall time spent away from home on an international expedition. In addition we have excellent logistics and operations while in Argentina, including a very comfortable base camp and incredible food. All these details help create successful summits and memories that last a lifetime. 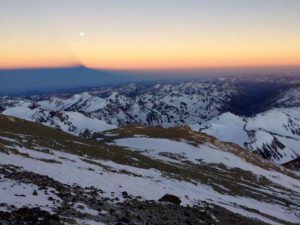 Aconcagua (22,841′ / 6962m) is famous for many reasons. It is the tallest peak in the Americas, tallest in the Western and Southern Hemispheres, and tallest outside of the Himalaya. 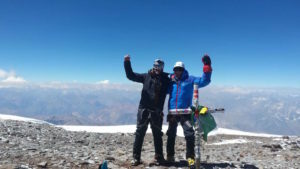 Aconcagua is one of the Seven Summits and its high altitude makes it the ideal training ground for 8000m peaks like Cho Oyu and Mount Everest. Cheers to a great season and successful summits!! Click here to check out our website. 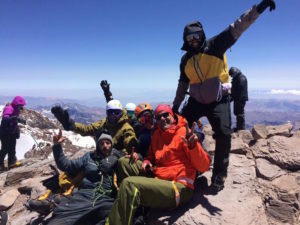 Interested in an Aconcagua Rapid Ascent expedition? For more information shoot us an email at info@alpenglowexpeditions.com or call the office 877-873-5376.